We are smack dab in the middle of a 12 day sprint on the AngelsTeach Community Facebook page with live sharings every day at 3pm Eastern on the topic of Angel Communication Mastery. Full disclosure, I’m doing this for 2 reasons. First, because I truly LOVE sharing the wisdom of the angels and celebrating them in community with fellow angel lovers. This is my passion, my purpose and my joy. Second, we are beginning another session of our Angel Communication Masters™ certification training on Thursday, May 2nd and I want to expose some of the elements of what it means to be an Angel Communication Master™ so you gain insight into what this training could do for you and the lifestyle it can create. 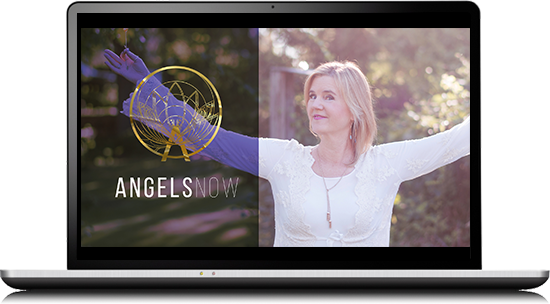 My overarching goal is to help more and more people plug into their love-based intuition and follow their angelic guidance, because this…is how we’ll change the direction of humanity and our planet. Which is why my team and I will never talk you into our training. It must feel right and guided for you and for us as well. These 12 points are less an overview of the actual curriculum of the training itself (you can find that on the website) and more about the goal of the experience. #1 – Guidance isn’t linear, but there is always a clear yes in any given moment. As you consistently choose your true YES, you are exactly where you need to be and led precisely where you need to go. #2 – KNOW your energy. We use a paradigm known as Human Design in AngelsTeach Land that provides wonderful insight into your personal energetic blueprint. Between that and your angelic allies, you know how to leverage your strengths and strategize around vulnerabilities. This is HUGE when it comes to plugging into your true purpose. #4 – Doubt erodes connection. First, we’re human and we’re going to have doubts. It’s what we do with those doubts that matters. If you allow the doubts to fester, your connection to the angels will whither away. If, however, your intention is to heal as they arise and carry forward in faith…that tells Source that you are in it to win it! #5 – Change and evolution are a constant force. Your understanding and bold faith ensures that the change you are attracting is healthy goodness. #6 – Your #1 job is to stay in what Abraham-Hicks calls the Vortex, where emotions are as high vibration as possible. From there, all abundance flows. #7 – Pay attention to the signs. Intend to be present and grow in awareness. This is angel communication 101 and where all doors begin to open. #9 – Have faith in the highest good AND release expectations. This can be a toughie, because many of us can get stuck in the loop of, “I’ll have faith when I see the evidence and have reason to be in faith”. While understandable, this is backwards, because faith is really about releasing expectations and any attachments to the “evidence” and outcome. You could say…it’s about being in faith when there’s no reason to be in faith. #10 – Pay close attention to your reality because it’s an exact reflection of your inner BEing. #11 – Surround yourself with people who love, support and help you stretch into being a better person. It is said that your “success” is dictated by the 5 people you spend the most time with. I would expand this a bit to include the places and spaces where you connect with others. Are you truly encouraged to be your best truest self? #12 – Love, forgive and accept yourself and all others. Always. Everyone. Even, especially, yourself. There you have it, beautiful one! I pray these aspects/tips inspire you and bring exactly what you need right now.